How many of us are bothered by the yellowing of teeth? This yellow coating is nothing but plaque, a sticky-film that is made up of bacteria and causes an inflammation of the surrounding gum tissue due to the toxins produced by plaque. If plaque is not treated on time, then it leads to further damage to the gums in the form of gingivitis. Non-plaque induced gingival lesions- caused by some strains of bacteria, virus or fungi. It can also caused by genetic factors, allergic reactions, wounds, reaction to foreign bodies like a denture. Once we eat food, it gets trapped in the space and lead to an infection. As the plaque hardens, it forms tartar. Then is the development of gingivitis. 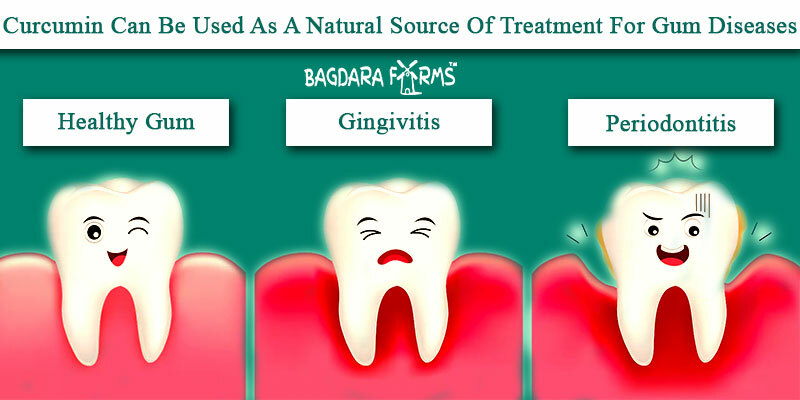 Gingivitis leads to injury of soft tissue as well as the bone supporting the teeth. This causes the teeth to become loose. If left untreated, it may ultimately lead to the loss of the tooth. The dentist who specially treats gum diseases is called periodentist. The diagnosis for gingivitis can be done during a dental examination. The dentist looks for inflammation and pockets around the teeth. Practicing oral hygiene by deep cleaning the teeth is the first step for treating gingivitis. Surgery is the final solution for the last stages of gingivitis. Curcumin can be used as a natural source of treatment for gingivitis due to its anti-inflammatory and antimicrobial properties that can bring down the inflammation as well as killing the bacteria that causes plaque formation. 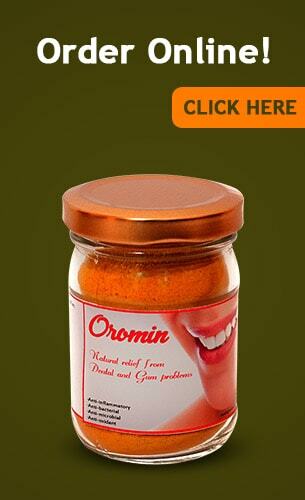 Buy Oromin and say goodbye to Gingivitis and other oral problems.